ANICA PAULOS (Huntington Beach, CA) began dance training at Orange County Dance Center and continued studying at world renowned institutions such as The Juilliard School, San Francisco Ballet, American Ballet Theatre, Kirov Academy of Ballet, Bolshoi Ballet Academy, Hubbard Street Dance Chicago, Complexions Contemporary Ballet, Yuri Grigoriev School of Ballet, and The School at Jacob’s Pillow. Ms. Paulos graduated from the Professional Performing Arts School in New York, where she trained at The Ailey School as a scholarship student. Ms. Paulos is a National Foundation for Advancement in the Arts Level 1 YoungArts finalist award winner. In addition to originating several roles and being featured in the Company’s repertory, Ms. Paulos is also very passionate about her role as photographer for the Company’s Instagram account, sharing a behind-the-scenes glimpse into the life of an Ailey dancer. She has modeled and been featured in Elle Magazine, Double Magazine, Refinery29, and graced the cover of Dance Magazine, where she was named “25 to Watch” in 2015. 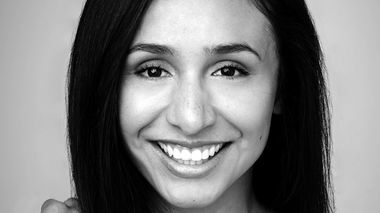 She was a member of Ailey II prior to joining the Company in 2014. Danica Paulos, who's now in her fifth season with the Alvin Ailey American Dance Theater, moves with captivating grace and power onstage. 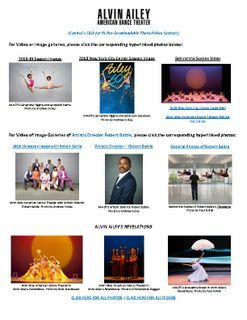 And when she's not wowing in-person audiences, the multitalented artist is mesmerizing Ailey's online followers: A gifted photographer, she regularly posts beautiful images of her coworkers to the @alvinailey Instagram page, which she's run for the past two years. We caught up with Paulos to talk about her diverse interests— and find out how she's helped shape AAADT's digital presence. When Danica Paulos left Southern California at 17 to train in New York City at The Ailey School while she finished high school, she had no idea that she'd be dancing with the professional company within four years. 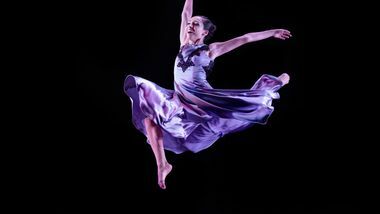 She completed the school's professional program (on scholarship), then landed a spot with Ailey II. After a year, she was invited to replace an injured dancer in the main company, and when her Ailey II season ended, Robert Battle invited her to continue full time. 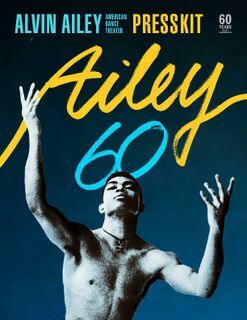 There aren't many people left on earth who can speak to the spirit of Alvin Ailey - not in terms of his dances or the institution he created, but the man. Alvin Ailey American Dance Theater celebrates its 60th anniversary this season and along with that, the work of another choreographer who mercifully is on earth right now: Ronald K. Brown. Through his dances, he speaks to the spirit of Ailey, and for nearly 20 years now he has enriched Ailey's company with unaffected, soulful choreography that gives its dancers dimension and depth.